The Herbert administration is committed to finding innovative solutions that reduce overall emissions by investing in further research and collaborative, public-private partnerships. Air Quality is consistently identified by a majority of Utahns as one of the top issues of concern year round. Poor air quality increases healthcare costs, can discourage business recruitment, dampen tourism, and shape visitors’ perceptions of Utah. Temperature inversions are commonplace in northern Utah due to our topography. Inversions cap the upward movement of air from layers below. This often traps dust, smoke, and pollutants in a sort of bubble contained within the valley during winter months. These do not last year round but can be dangerous during inversion seasons. Fortunately, through various efforts, we have been able to counteract the rise in air pollution throughout the previous decades, and 2017, similar to past years, saw the trend continue with a decrease in total emissions. 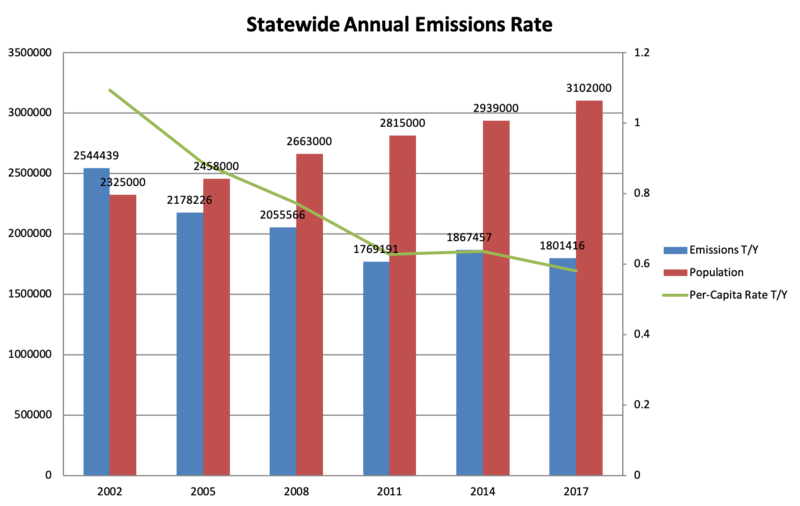 This is a trend that is projected to continue. 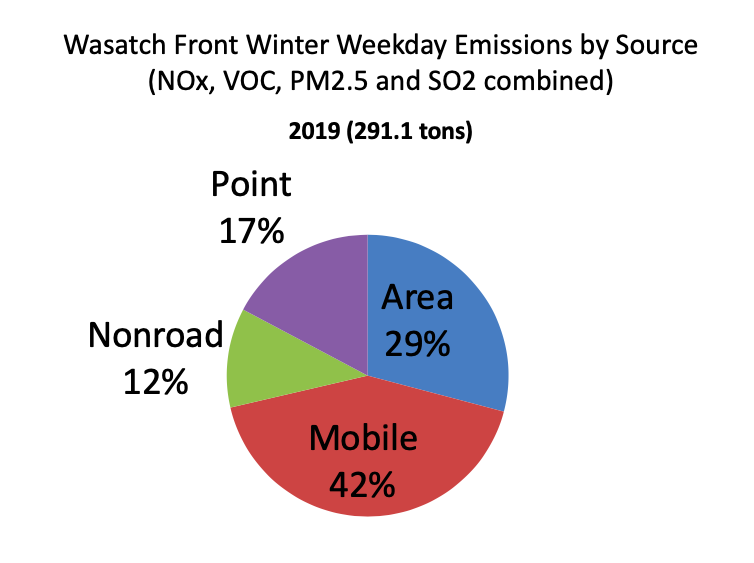 Governor Herbert is committed to continuing down the path to improved air quality and has included in his 2020 Fiscal Year Budget Proposal $100 million for data-driven solutions to reducing emissions. 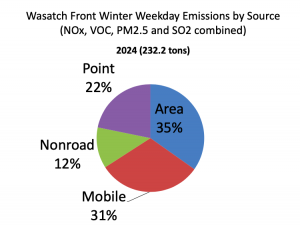 This would constitute a record investment in clean air and could result in significant improvements to Utah’s quality of life. Here are a few key possible investments that have been identified at this time. 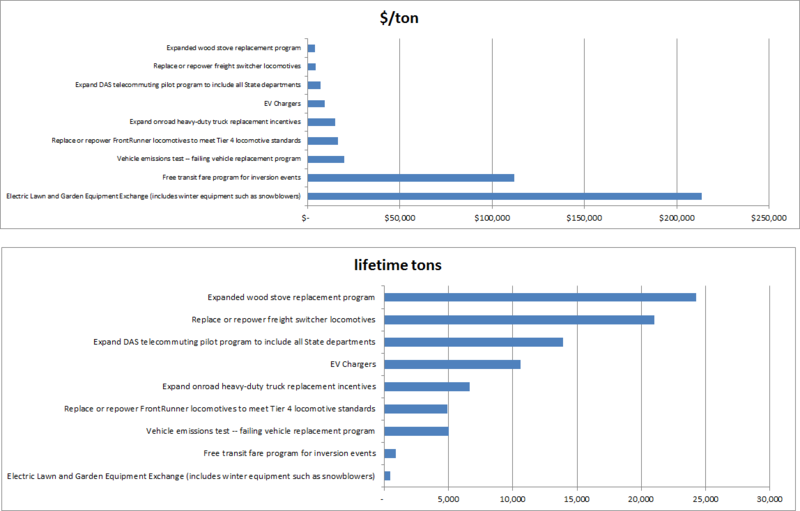 These are not certainties, but demonstrate the length at which the Herbert Administration is willing to go to identify programs that will be both cost effective and make a long-term impact in the quality of our air. Mobile: Passenger Vehicles, Light Trucks, Buses, Trains, Etc. Nonroad: ATVs, Snowmobiles, Lawnmowers, Etc. Area: Homes, Businesses, Skyscrapers, Etc. Additional data on the current air quality throughout the state can be found here. Q: What has the state done to address this concern? A: Under Governor Herbert, thirty-one new state rules have been enacted to reduce pollution, which resulted in emission reductions of more than 100 tons per day, a Clean Air Action team has been implemented, and the Utah Office of Energy Development created the Utah Energy Research Triangle. Additionally, the Air Assist program was launched to provide grants to allow for small businesses to meet clean air requirements. We recognize that while a lot of action has been taken, we have more work to do. 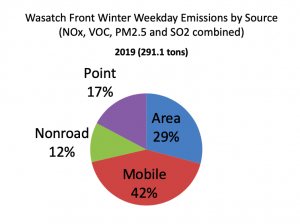 That is why Governor Herbert has proposed that the legislature allocate $100 million to cleaning our air in the 2020 fiscal year. Q: What does your administration plan on doing to further progress? A: The Herbert administration considers future technologies, innovations, and products that will positively or negatively impact the air and the beauty of our state. For instance, Governor Herbert has made a strong push for Tier 3 fuels in the state of Utah. 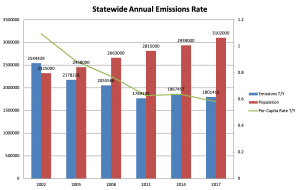 Most large refineries are now producing the cleanest possible fuel on the market. And, while this is a major step in the right direction, relying on any single energy source, including fossil fuels, is unsustainable in the long run. That is why Governor Herbert signed on to a multi-state memorandum of understanding that outlines the West’s plans to invest in an Electric Vehicle Corridor. Additionally, Governor Herbert has proposed a $100 million investment in reducing emissions during the 2020 Fiscal Year. These funds would be applied to data-driven solutions that would improve air quality, health, and quality of life in the state of Utah. Q: What should/can residents be doing to help improve air quality? A: To improve Utah’s air quality everyone must make conscious choices in their daily lives to benefit the environment. Making green decisions can be as easy as replacing old fuel containers, driving less and carpooling, using water-based paint and installing a natural gas fireplace instead of wood-burning. Consumers can also use the EPA’s Design for the Environment program as a tool to aid in finding more environmentally and air-friendly products. For more ideas on how you can make an impact, look here. Q: What are the health risks for Utah residents with the current state of our air quality? A: Poor air quality is a risk for everyone. There is evidence to support that poor quality has been linked to asthma, heart disease, stroke, and lower birth weight babies. Utah residents should take proactive measures to ensure that they are making their health a priority by regularly checking air quality levels and utilizing Travelwise to play a part in limiting pollution from vehicles. Q: What threat does the growth of our state pose to the progress of improving our air quality? A: Utah continues down the path of growth, with expanding businesses, a booming economy, and new residents. 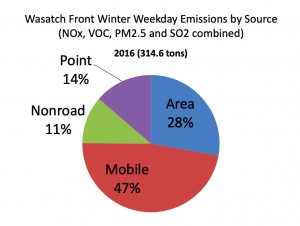 In the past decade, the Wasatch Front’s population has grown by 350,000, and yet, we have decreased our total emissions by 35 percent. As the state of Utah grows, our plans for sustainability will also grow. 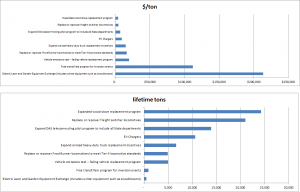 Q: How much can the state reasonably do and how much falls on the residents? A: The Herbert administration acts to improve Utah’s air quality by continually reviewing and implementing programs that support clean air and promoting clean-air legislation. We have continued educational efforts and research for measures to improve air quality. The state offers tax credits for residents who have taken actions towards a green-lifestyle and has ensured bicyclists have safe and maintained paths, even in our most urban areas. However, improved air quality must be a team effort by the state and its residents. 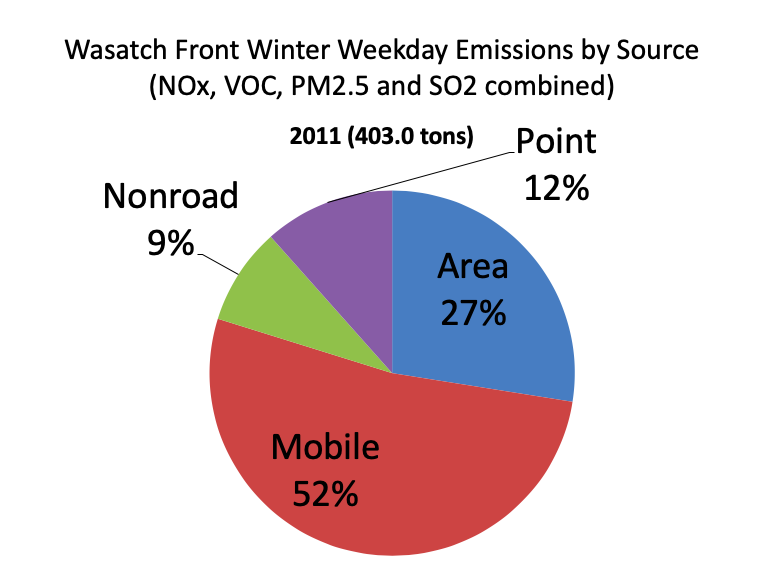 Much of the reduction in Utah’s air pollution will come from residents – those willing to make environmentally conscious choices, such as carpooling or traveling with the intent to decrease vehicle exhaust, by replacing wood stoves, conserving energy, and getting involved in the conversation surrounding air quality. Q: How much do industrial facilities in Utah contribute to air pollution? A: Refineries and industrial facilities contribute about 13 percent of total emissions. Some major industrial facilities, such as the Chevron and Andeavor refineries (formerly known as Tesoro) have committed to produce Tier 3 fuels. This is important because nearly 48 percent of air pollution comes from vehicle exhaust. Industrial facilities and refineries are stepping up and working to address the challenges we as a state face with air quality. These facilities are required to use the “best available control technology” to ensure they’re producing the lowest amount of pollution possible. Q: What implications does the passage of House Concurrent Resolution 7 have moving forward? How will this shape policy regarding air quality and Utah’s environment? A: House Concurrent Resolution 7 recognized the importance of conservation efforts and went further by acknowledging man-made impacts on climate. This resolution demonstrates our state’s commitment to promoting clean-air and a healthy environment for all of Utah. This movement was led primarily by high school students who were passionate and dedicated; everyone can make a difference in our state. Q: Why is Air Quality such a large concern? A: Air quality affects every person in the state of Utah. There is a direct connection between air quality and health. Additionally, poor air quality discourages businesses and projects from wanting to call Utah their home and decreases tourism. Air quality is a significant concern because it is important to our health and our economy. We want those who live in the state or choose to visit the state to breathe easily.